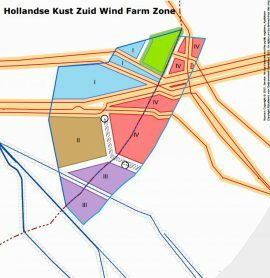 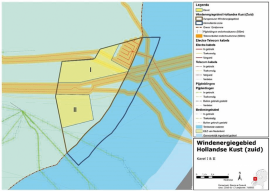 The Dutch Administrative Jurisdiction Division of the Council of State has approved the Wind Farm Site Decisions (WFSD) for zones I and II of the Hollandse Kust (zuid) offshore wind project. 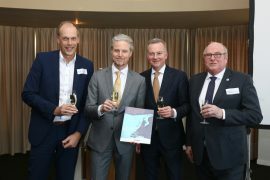 Amsterdam IJmuiden Offshore Ports (AYOP) presented its bid book ‘The Essential Guide for Installation and O&M Hollandse Kust Wind Farms’ to Vattenfall, which was recently awarded the permit for the Hollandse Kust Zuid I & II offshore wind farm, the Netherlands’ first non-subsidised offshore wind farm. 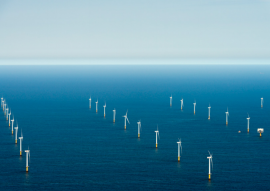 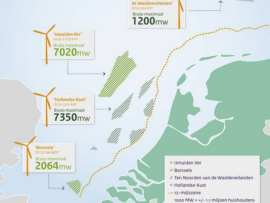 The Dutch Ministry of Economic Affairs and Climate Policy examined a total of four applications for a permit to construct the Hollandse Kust (zuid) I & II offshore wind zone without subsidies. 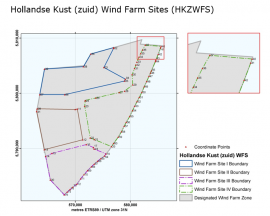 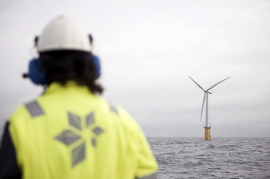 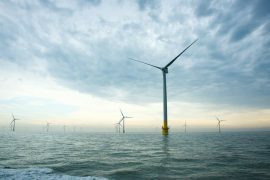 The Ministry of Economic Affairs in the Netherlands plans to publish the tender for the Hollandse Kust (zuid) I and II offshore wind farm development sites in early October. 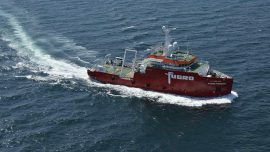 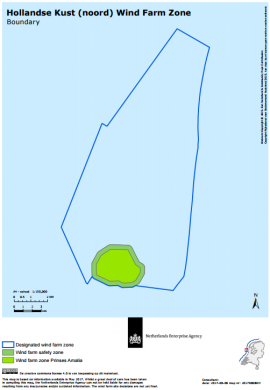 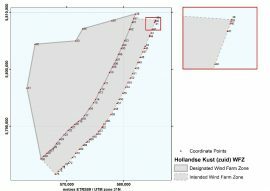 Dutch geo-consultancy Fugro has begun an area survey of the 700MW Hollandse Kust (Noord) wind farm zone in the Dutch part of the North Sea. 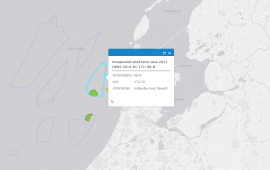 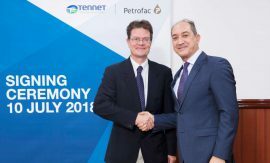 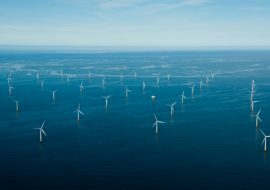 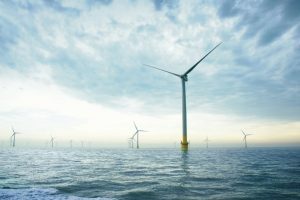 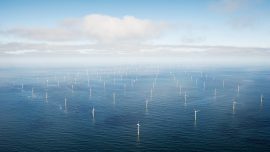 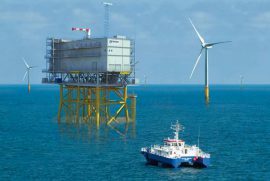 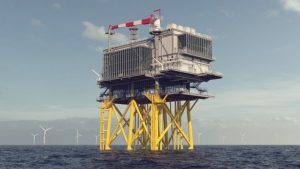 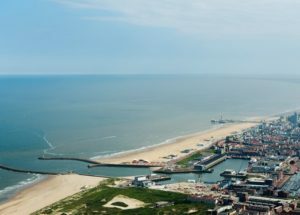 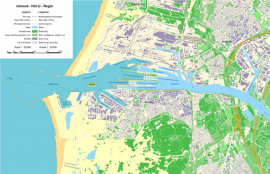 DNV GL has awarded the Netherlands Enterprise Agency (RVO.nl) with a certificate for the quality of its package of site studies for companies planning to compete in the tenders to build offshore wind farms at the Hollandse Kust (zuid) Sites I and II.